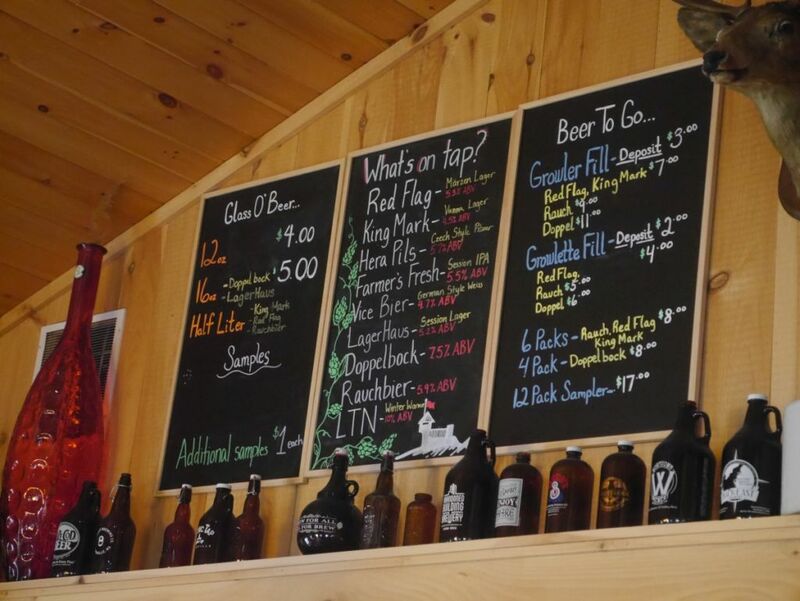 Those familiar with the area around Northampton, Easthampton, and other places around might notice quite accurately that I haven’t visited nearly all of the breweries in the area. I really wanted to visit Tree House to bring back some of their legendary juicy IPAs but their limited hours didn’t work with my trip. 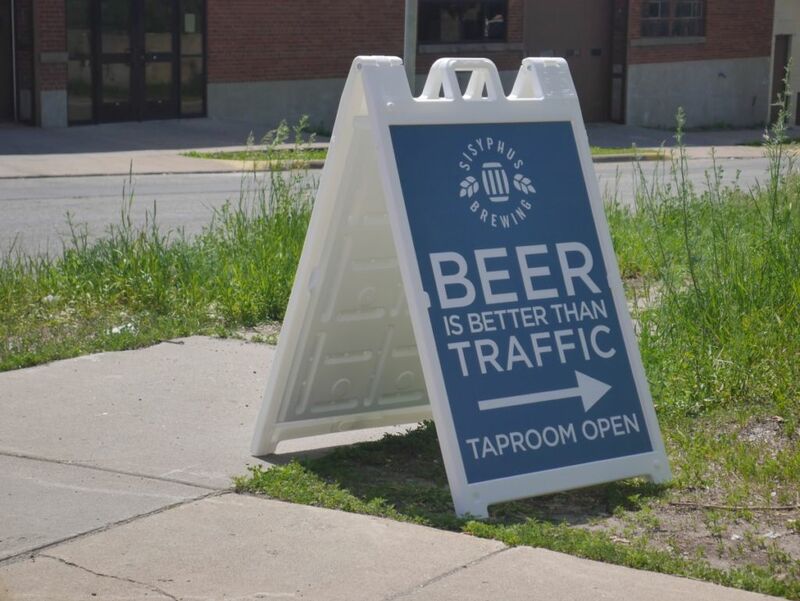 Similarly, I had hoped to visit Big Elm brewing but they are only open 12-4PM on Saturday. 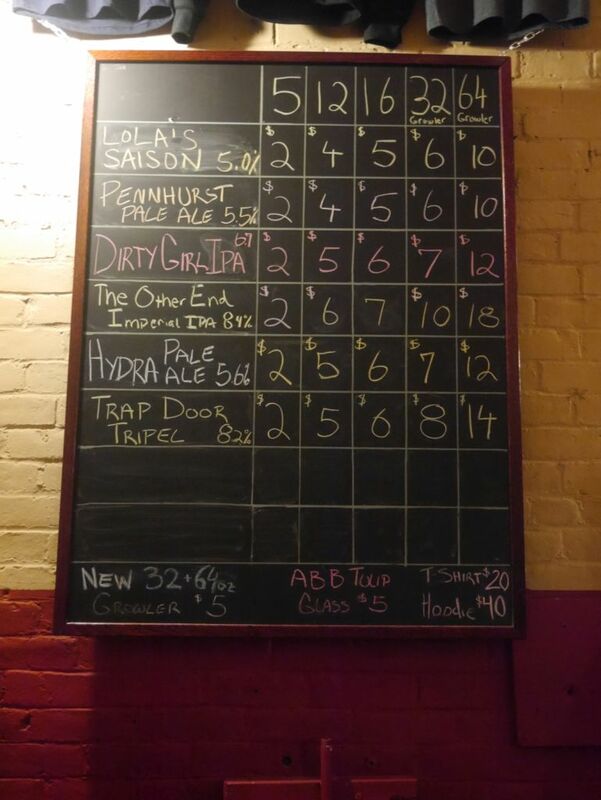 With what I was left, my local friend recommended I visit Element Brewing, The People’s Pint and the 3 new breweries in his town of Easthampton. 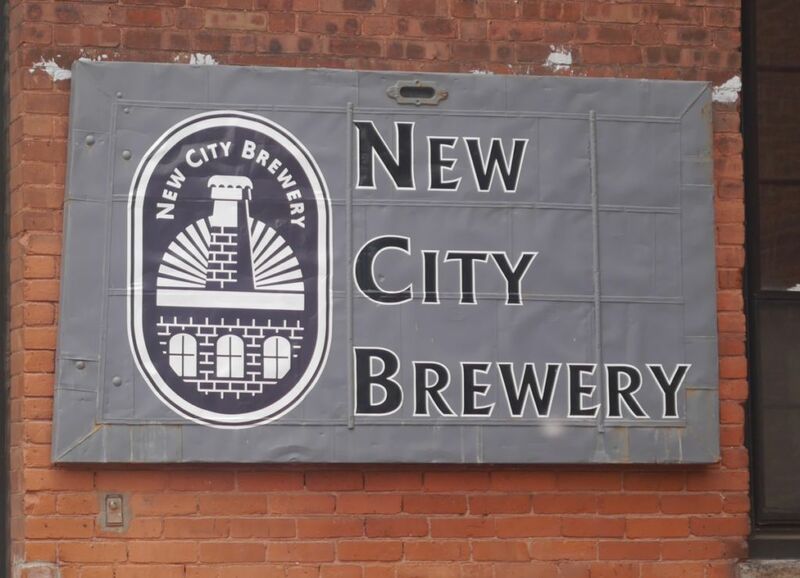 The 3 breweries in Easthampton are called New City Brewing, Abandoned Building Brewing, and Fort Hill Brewing. Each has been open only about a year. 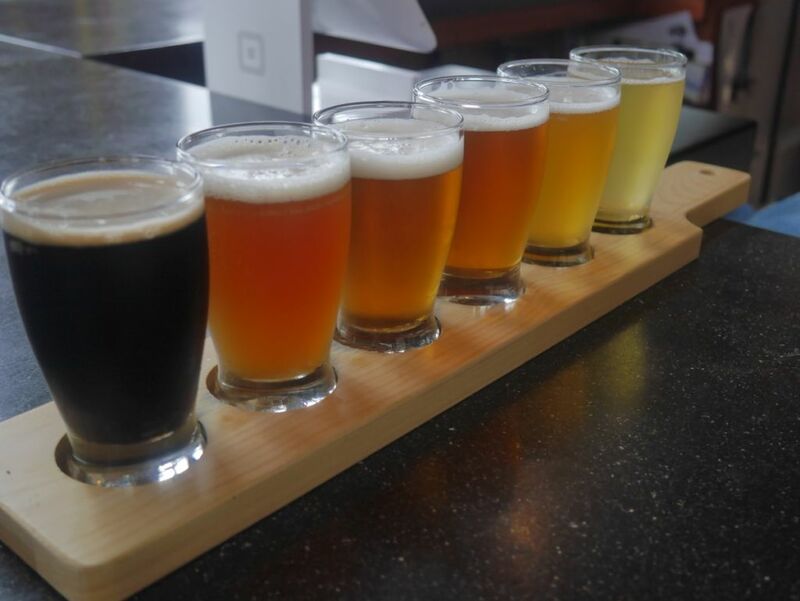 I have visited a lot of breweries in the past few years and have tasted a lot of different beers and my visit to Element is the first time that I have ever left four of six tasters on a flight more than 3/4 full because I was not enjoying them in the slightest. There are disappointing San Diego breweries that I have found at least to be competent enough that I still finished their flights of mediocre beers. 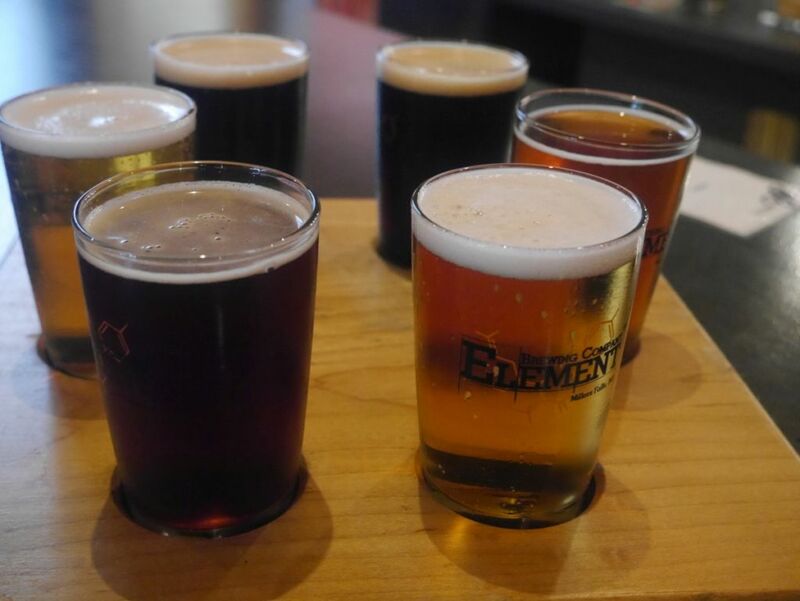 This is even more disappointing because Element is one of the breweries in the area that is somewhat well known and popular and somehow has regular fans. 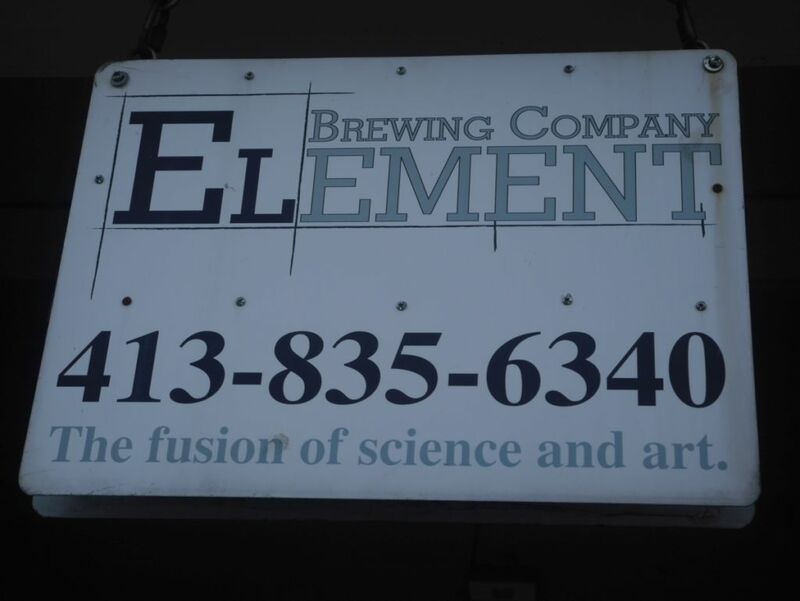 The closest thing I can compare Element to is Reckless Brewing in San Diego, mostly because both breweries have a science theme and claim to brew whatever the hell they want with no attempt to brew to style (meaning they don’t really bother to make sure their dark beers taste like stouts or that their IPAs taste like IPAs, etc). 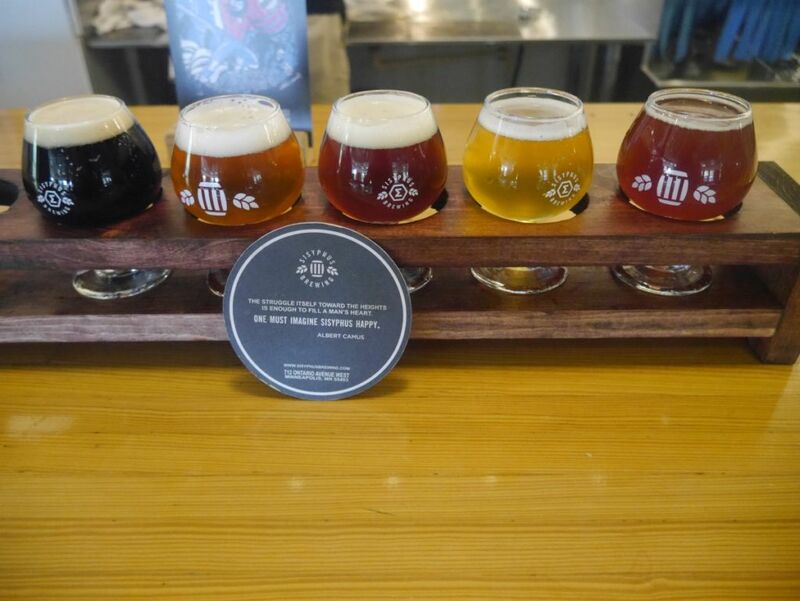 I might not have cared so much that the beers were average if the brewery wasn’t in the middle of no where and charged $20 for a flight of six tasters, something which only makes sense if you are brewing sours the traditional way. Two of the six beers actually tasted like beer, and those two I will describe here. The rest aren’t even worth mentioning. If you still want to go to Element, please limit your exposure to the Extra Special Oak and Dark Element. The Extra Special Oak most closely resembles a Belgian Dubel style with flavors of dark fruit and caramel. The beer is smooth and not overly sweet despite the high ABV and finishes nicely with a mellow oak flavor. 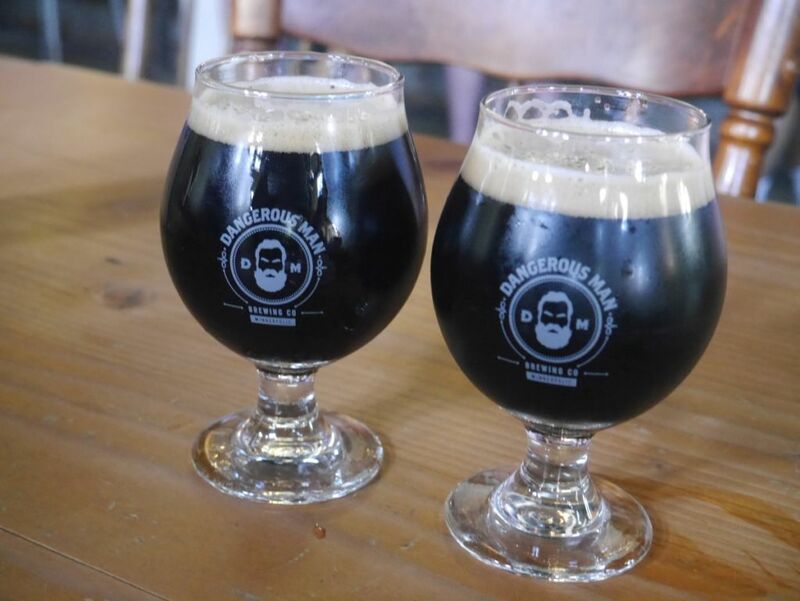 The Dark Element most closely resembles a black IPA though it does not have any roasted malts that typically give a stout its roasty flavors, nor does it have any body to speak of. But it does manage to showcase the strong hop flavors without knocking you out with bitterness. Not too far from Element is the popular brewery called The People’s Pint, where beers were a massive improvement and some were quite impressive. 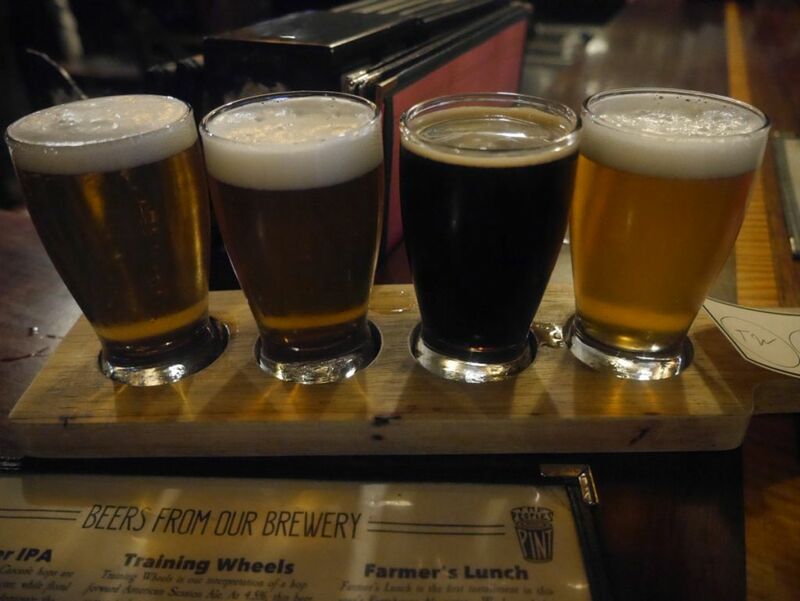 I tasted the Training Wheels Session IPA, Farmer’s Lunch Belgian Pale, Oatmeal Stout, and Double IPA. The Training Wheels was a solid session IPA, good and smooth with a solid mix of tropical hops and pine. The pine dominated a bit much for my tastes and the finish was a little more bitter than necessary but otherwise it was a tasty session IPA. 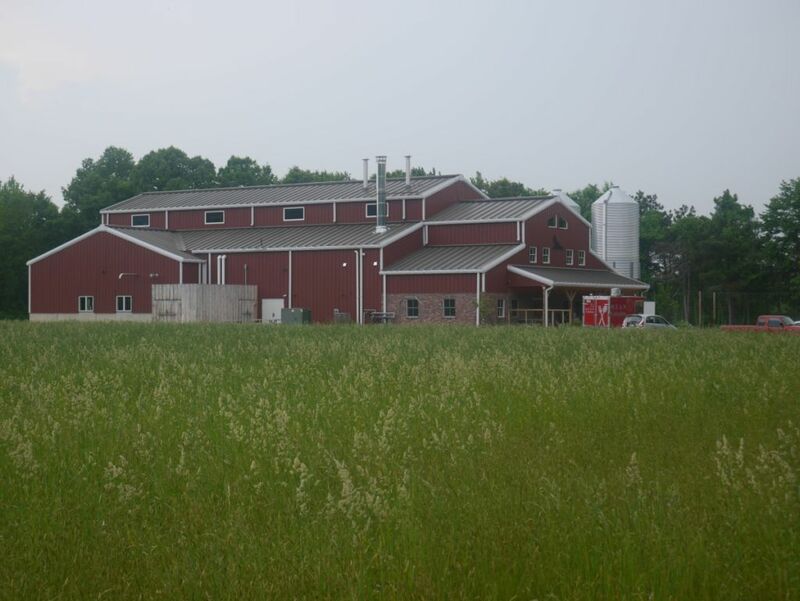 The Farmer’s Lunch, though described as a farmhouse ale, is really more like a light Belgian style IPA, meaning it is not a traditional saison. The beer showcases some delightful tropical and citrus hops with some smooth Belgian spice under it all. The Oatmeal Stout was probably the most complex and delicious stout I have had at that alcohol level. The beer does a fantastic job of mixing chocolate, roast, coffee, and caramel in a very smooth easy-drinking stout. My husband really loved this and I quite enjoyed it as well. The Double IPA was a very delicious beer that mixed dankness, resin, citrus, and pine for a very smooth low-malt double IPA that hides its alcohol well and is not very bitter. 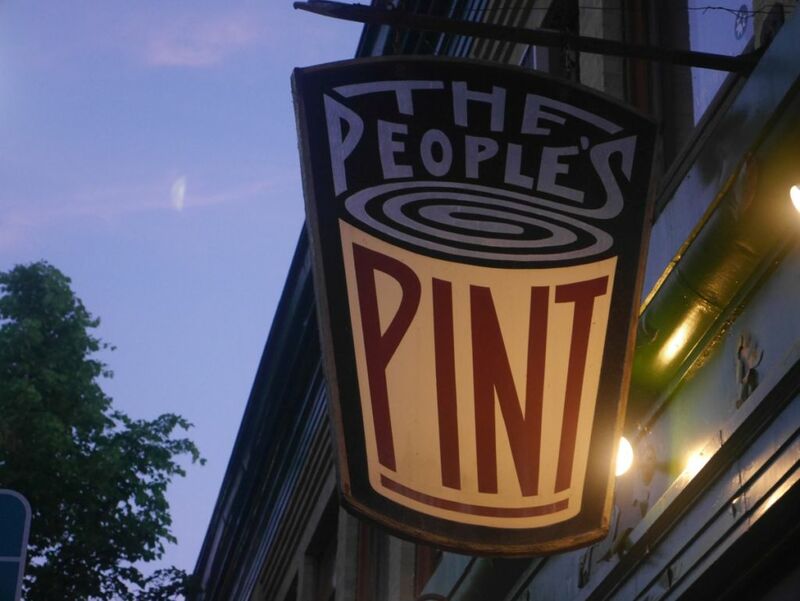 The People’s Pint is primarily a brewpub and has a full food menu available as well. 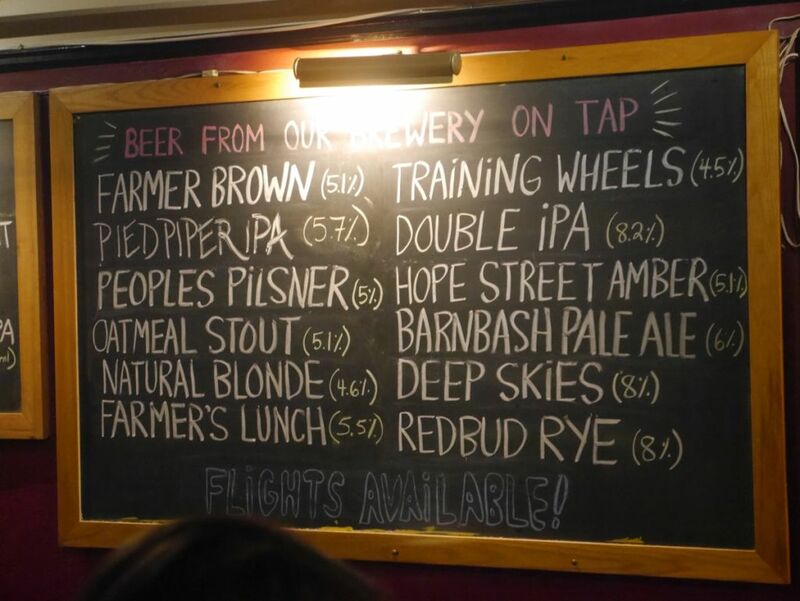 Their oatmeal stout is widely available around the area and reasonably priced as well. I would easily stop in for a pint if I happened by the area again in the future. 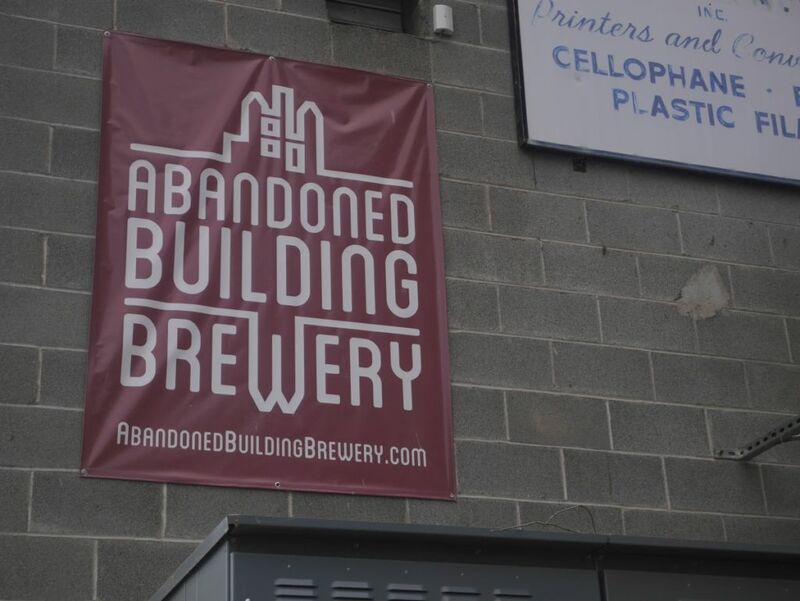 The first of my 3 breweries in Easthampton, New City is almost next door to Abandoned Building Brewing. I tried a flight of their Ginger Beer, Pale Ale, ESB, IPA, Rye IPA, and Dry Stout. The Ginger Beer is a delicious 8% alcohol ginger beer that has a smooth light body and spicy ginger kick that balances nicely with some mild sweetness. I can see why this beer has gotten them to be quite popular. The pale ale was quite smooth and balanced with with a bready malt base and a light but present hop kick. 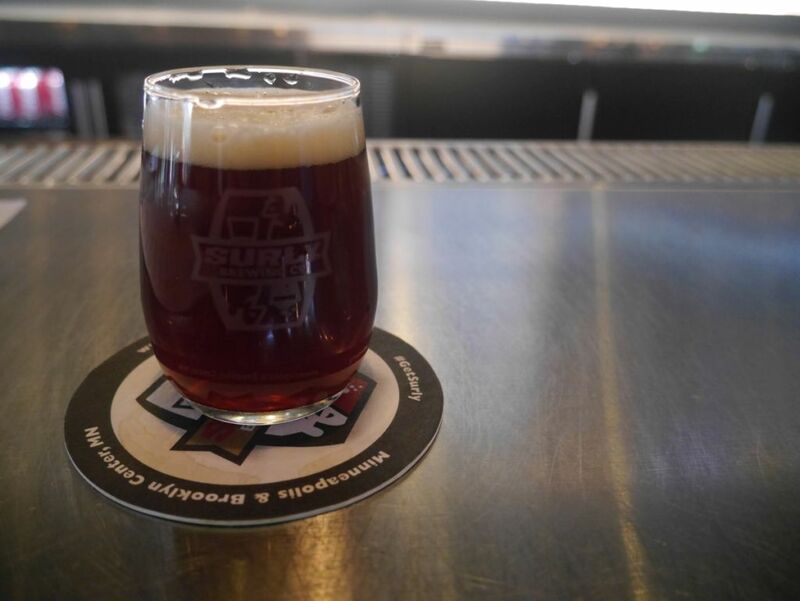 The ESB is quite smooth and malty and has a nice prominent apricot flavor from the hops. It was also the most bitter of the bunch. The IPA is also quite balanced with a solid malt base and light citrus hop notes without being overly bitter. The Rye IPA was similarly smooth and balanced with super light bitterness and peppery kick at the finish. The IPAs here are not West Coast style but also not Northwest style with unbalanced bitterness and overwhelming malt flavors. They are some of the most subtle and delicious versions of the styles I have had outside my typical preference. The Dry Stout was a solid dry stout with a good mix of roast and dark fruit malts. While not as flavorful as the People’s Pint Oatmeal Stout it was still quite solid. New City isn’t making any crazy styles but they are doing a fantastic job making balanced IPAs that are not malt bombs. 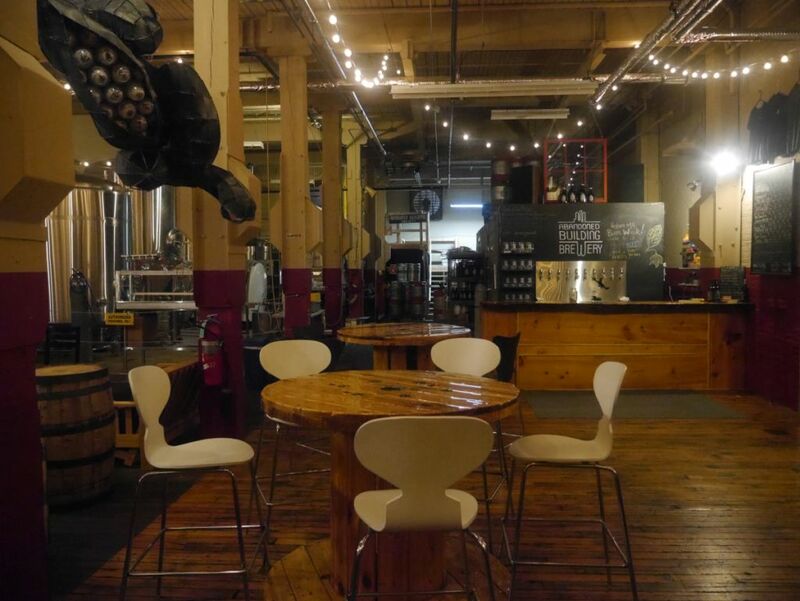 New City is in a massive abandoned brick building and has a combination of bar seating and other indoor seating. They sometimes have live music on weekends as well as the occasional food truck. I was recommended Abandoned Building mostly for the stout, which was not available on tap when I came by. 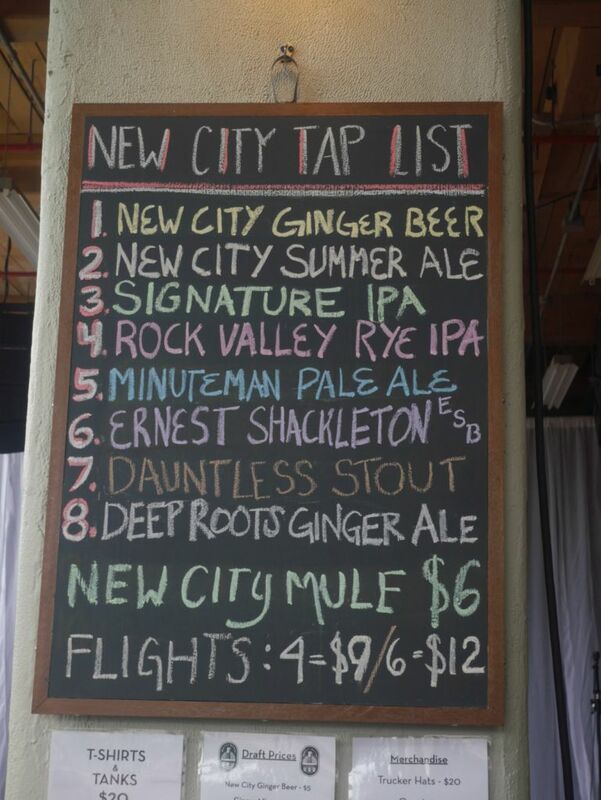 I went for the IPAs instead, which after New City were disappointing and fairly average. I did bring home a few bottles of the barrel aged stout from Abandoned Building though and I hope to try these soon. The Pennhurst Pale was fairly balanced with prominent bitterness, some fruity hop notes, and a bitter dry finish. The Hydra Pale was also fairly standard pale though slightly less bitter and more citrus forward. Dirty Girl IPA was surprisingly less bitter than the two pale ales but otherwise very similar malt background with some apricot notes from the hops. The Double IPA was the closest to the West Coast style and presented a good mix of citrus and dank flavors. It didn’t really stand out that much from the rest though. In all the beers seemed pretty similar and focused on bitterness over aromas. 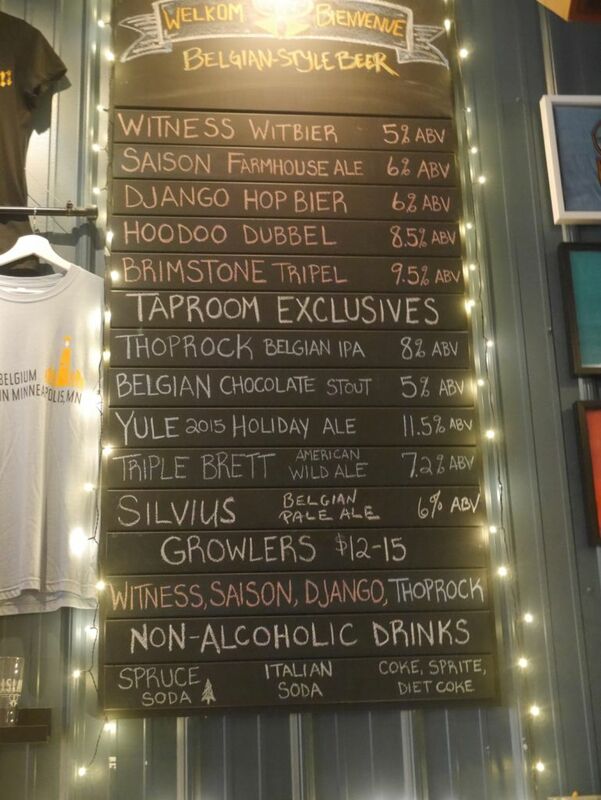 Still, it might be worth stopping by if you are in the area so you can try the stout. Abandoned Building is also interesting because of their location inside a similar massive brick building to the one where New City is located. To get inside you have to come through an entrance way that looks abandoned and through a door that would not normally suggest a brewery. They have no windows inside so it can be a nice way to escape the sun. Fort Hill is the largest of the three breweries I visited and according to my friend has the most money behind them. 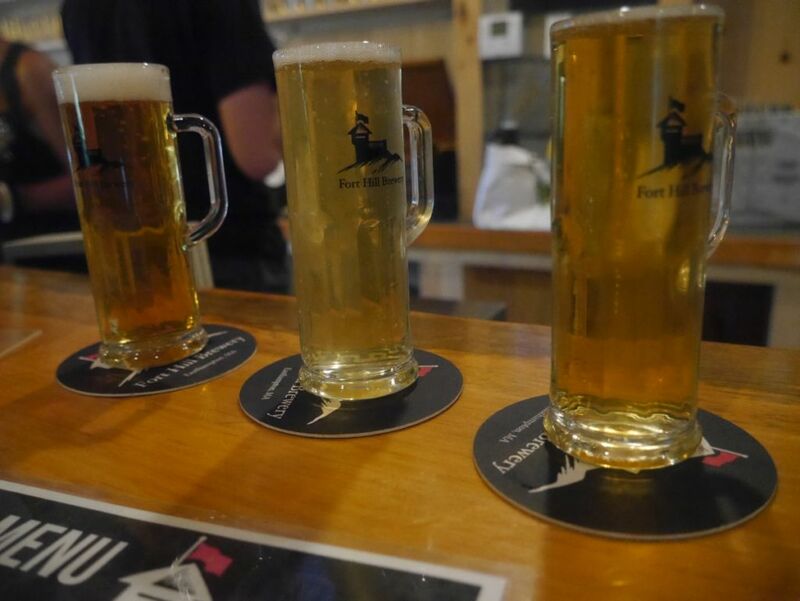 Most of their beers focus on lagers, so I tried their King Mark Vienna Lager, Hera Pils, Lagerhaus session lager, Session IPA, Rauchbier (smoked beer) and Dopplebock. At this point in my day, I didn’t really distinguish much between the Vienna Lager, Pilsner, and Session Lager other than the Pilsner was the most hop-forward of the bunch showcasing some delicious German hops. Hera Pils is probably one of the best pilsners I have tasted and really impressed me. The Session IPA didn’t stand out much either, aside from being the most bitter of the bunch. It wasn’t really bursting with hop aromas. My friend insisted that I try the Rauchbier and I thought it was smooth and balanced between a light smoke flavor and a sweet back end. The Dopplebock was also quite smooth, sweet, and tasty with notes of plum and a very light body. If you are a West Coast beer drinker who generally shys away from lagers I would recommend going straight to the Hera Pils because it was the most delicious of the bunch. I probably would have ordered a pint before we left except my phone had indicated a storm might be on its way. I think that was ultimately a false alarm but it got us to leave. Fort Hill is inside a massive farm house and has a nice homey feel inside. When we visited they had live music playing as well, which was the main reason I was quick to leave when the storm warning showed up on the phone. You can find their cans of beers around town and I greatly enjoyed drinking a six pack of their Hera Pils the following day in my hotel room. 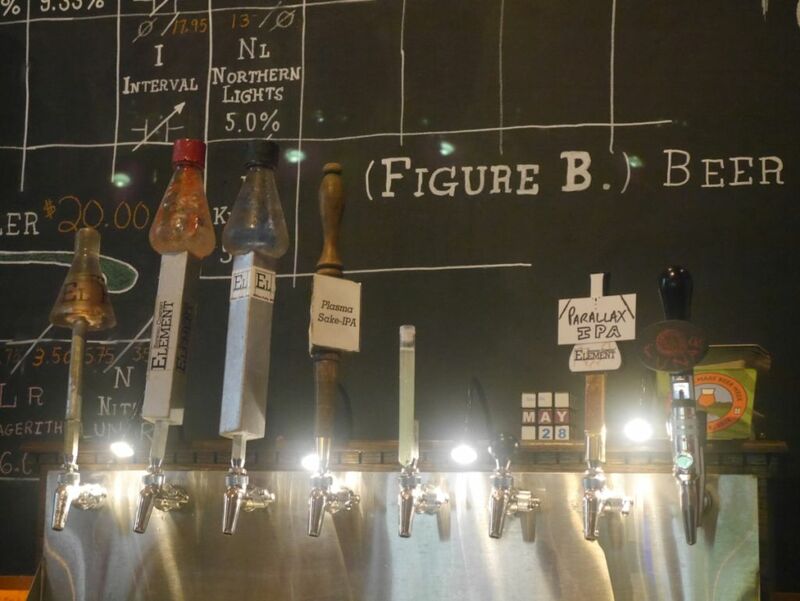 North Park has been exploding with small breweries and satellite tasting rooms lately. Depending on where you live you can easily walk to a number of different spots. North Park Beer Company hasn’t been open very long but it has been in the works for quite some time and it shows with their gorgeous interior design. Most small breweries focus more on beer and perhaps a certain theme over looks, especially the small ones in industrial areas of town. 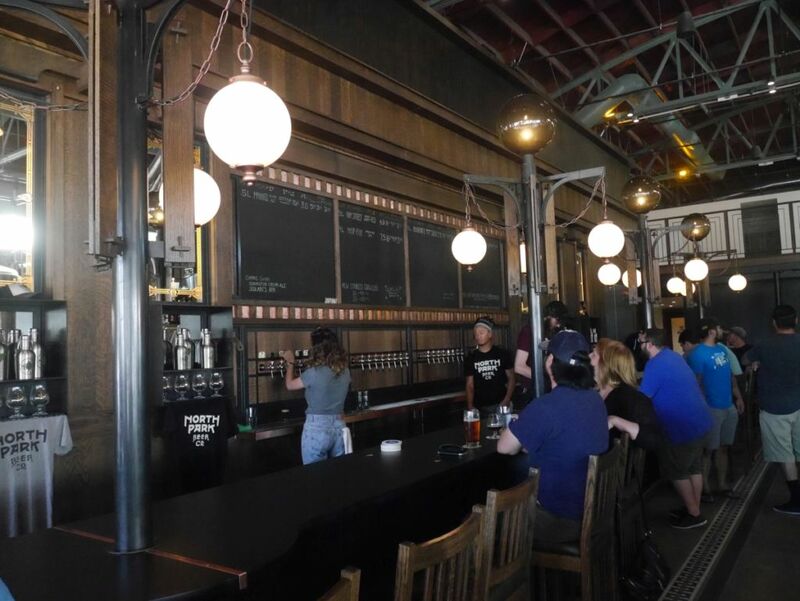 North Park Beer Company has a classic interior that is a mix of a British pub and an iconic train station. You would assume as soon as you enter that they serve food and that is in the works, partnering with Mastiff Sausage Company, a local favorite that can be found at various breweries in food truck form. Even with a large space and quite a big crowd when we visited, it didn’t get unbearably loud. They still have a fairly small lineup of beers but what they had tells me that they know how to make a good beer. I tasted their light scotch ale, hoppy red, IPA, stout, and San Diego style pale ale. The scotch ale was a bit too light for me, coming in at only 3%. I didn’t get much flavor from it. The hoppy red was really smooth and balanced with mellow malts and fruit notes from the hops. It makes for a very delicious red IPA that should become a local favorite. The IPA was sticky and dank with a good thick mouthfeel and tons of pine character. It was well made but I found it a little too bitter compared to the more mellow hoppy red and SD pale. If you love simcoe forward IPAs this one might be your favorite. The stout is a very dry stout with a caramel base and a bit of a hoppy finish. It is an average stout but I usually don’t care for the dry variety and neither does my husband. The San Diego style pale ale was super smooth and light on the malts with some nice fruity hop character. Bitterness was almost nonexistent and overall a very impressive beer. Over time the lineup of beers will grow but if North Park Beer Company keeps the three hoppy beers I had as core beers, they will become popular very quickly. I was also very glad to see the pint glasses they used which had plenty of room for giving customers a good size head on the beer without skimping on the beer. The line for 16 ounces is a few inches below the rim of the glass. One day when this is standard practice at every brewery I won’t need to point it out. Based on my recent visit, word travels fast about new breweries in the area and people are already flocking to this young brewery. I visited Minneapolis Minnesota on the weekend of May 20, 2016 and I got to visit a few local breweries. My experience was slightly different than usual because of an art festival that was going on, which actually made Surly not as busy as usual and made it a madhouse at Indeed Brewing, really busy at Dangerous Man, and made Fair State not so fun to visit, since they chose to use plastic cups for the weekend. This led me to visit two other breweries I wasn’t planning on visiting, thanks to a recommendation from a friend, Sisyphus and Boom Island. First I will start with some general thoughts on the area. I really liked that the breweries were all in an area that is pretty small so that the breweries are not too far apart and none are too far out of town. Also a lot of the larger breweries don’t serve tasters, thus I didn’t try as many beers at the breweries listed as I normally would. While I might taste a lager of a pale ale and end up liking it enough to do a pint, I rarely will just order one I haven’t tasted before. Also if you happen to come visit wanting to bring bottles home, the liquor stores are all closed on Sundays so plan accordingly. 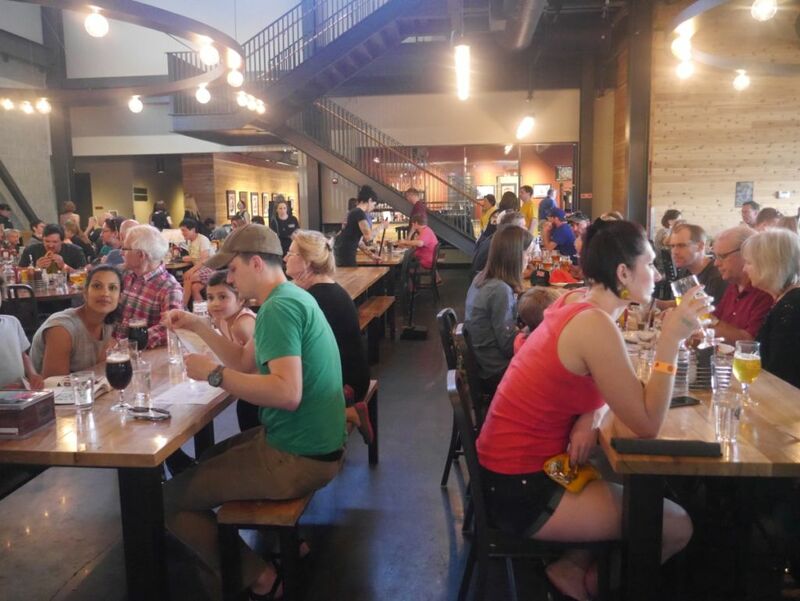 This photo somewhat gives you an idea of how massive Surly’s brewery location is, thanks to the person sitting in front. 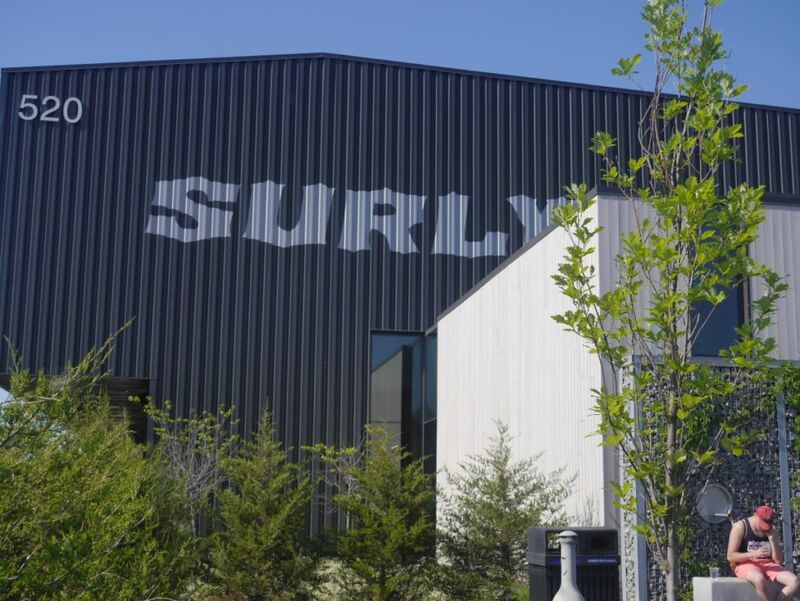 Surly is probably the most popular of the breweries around the area and certainly one of the larger more widely distributed breweries. Their cans are a mainstay in the general area extending to neighboring states. 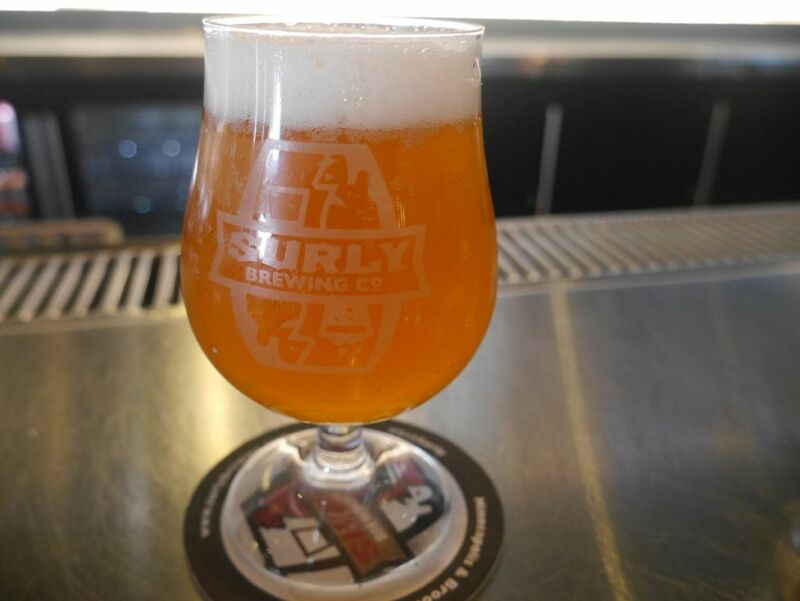 During my visit to Surly I tasted the Pentagram dark sour, Furious IPA, Four Imperial Stout, and Todd the Axe Man. Pentagram was a very tasty nicely balanced dark sour with plenty of jammy wine notes, and a light sour finish. I mainly tried a small pour on tap so I could make sure I wanted bottles for myself. Furious is Surly’s first IPA and while it was I’m sure groundbreaking when it first came out I didn’t really get into it. It is super dry and quite bitter with a mix of citrus and pine flavors. While it is not overly malty, the malts do give it a solid balance. I found it to be a bit too bitter personally such that it lacked prominent aromas from the hops. Todd the Axe Man, delicious IPA. Four Imperial Stout was originally their fourth anniversary beer and it was the one beer my husband enjoyed during our visit. It is a double milk stout made with espresso. It was super smooth and creamy with powerful coffee flavors, very reminiscent of some recent San Diego espresso beers. Surly also has lighter coffee beers but when trying one back home I wasn’t too big on them and found them to taste a bit thin. Todd the Axe Man, while also quite bitter, is much more balanced than Furious and it is exploding with fruit flavors including lots of tangerine and melon. I really enjoyed this one and ended up coming home with a four pack to share with my friends back home. I recommend skipping Furious and going straight for Todd if you are into IPAs. The brewery had a huge beer hall feel to it inside. I only briefly visited Fair State because they had run out of most of the specialty beers they had earlier in the week and they were serving beers in plastic cups and were not allowing tasters. While I only tried one beer at the brewery, I did pick up two bottles of their specialty offerings to bring home with me for later, that I am excited to try. I tried the Lactobac 12, a ginger and lemon grass sour. It was tasty and balanced with a solid ginger taste and a good light tart kick. The alcohol is so low you might confuse this beer for Kombucha. I would have loved to have tried more but I don’t like drinking from plastic cups. Perhaps on another visit I will try more. 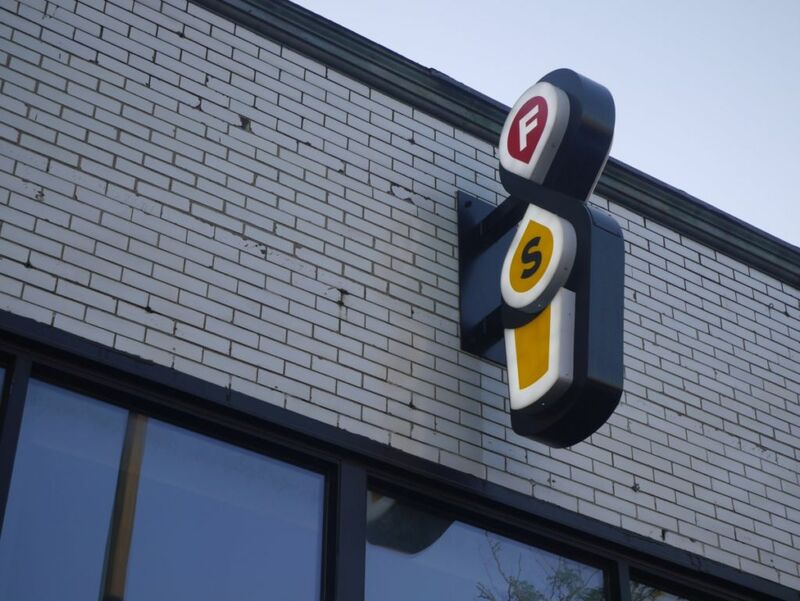 Fair State is known for their sours and wild ales. I was quite impressed by the dark sour I brought home with me after visiting. I also only tried two beers at Dangerous Man. This was mostly because I didn’t really get into the two stouts I tried and they were quite crowded at the time. They are often praised for their chocolate milk stout and the peanut butter porter so I started with those. The chocolate milk stout was super smooth but also fairly light body and didn’t have a ton of chocolate flavor to it. While it wasn’t dry either, I didn’t get much flavor overall. 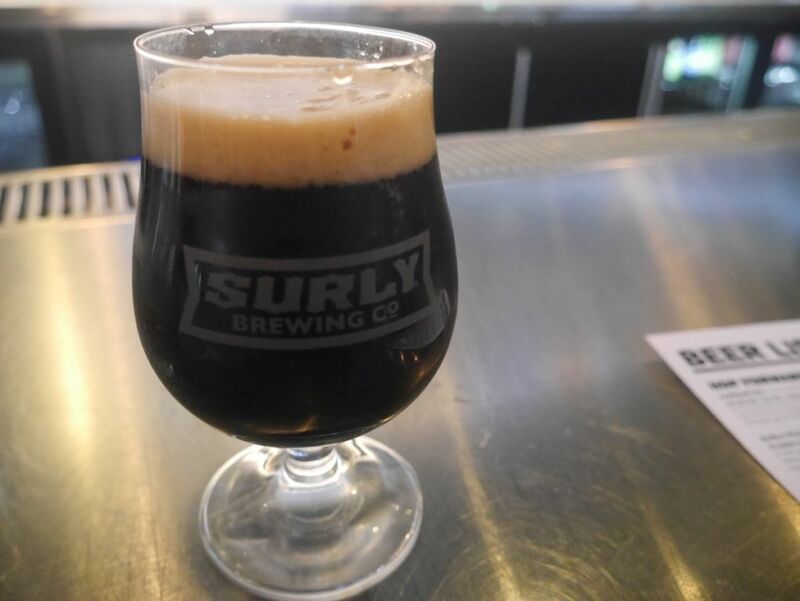 The peanut butter porter is a good example in the style that has gotten popular at a number of breweries and has a nice smooth light body and a solid nutty finish. If you have enjoyed other popular peanut butter porters then you will also enjoy this one. 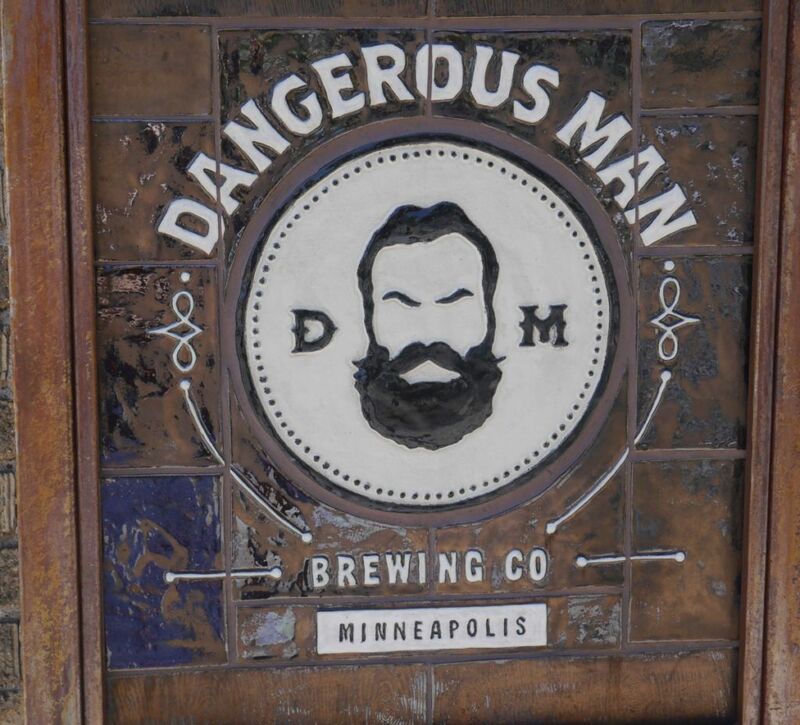 I would have tried more beers at Dangerous Man but they didn’t offer tasters and I wasn’t excited to try any of the other beers on tap at the time. This is the only brewery where I got to do a flight of tasters. 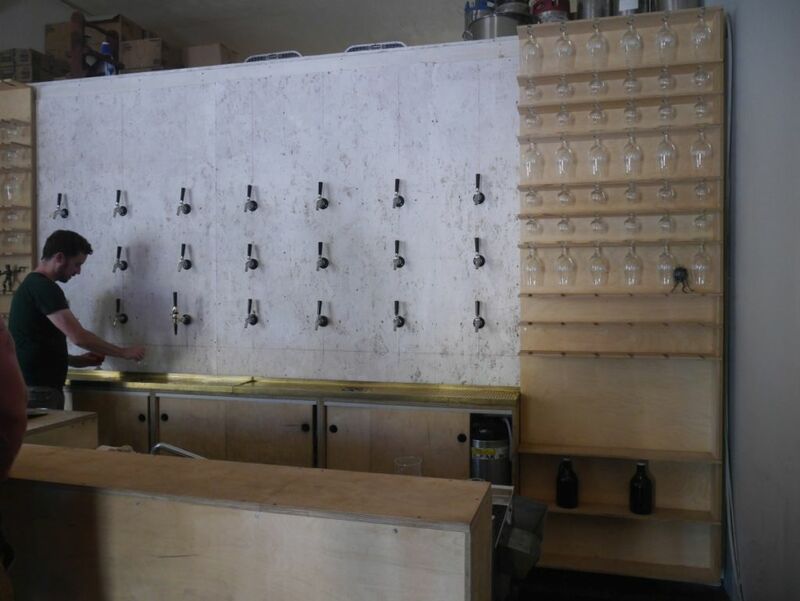 The brewery is fairly new and brews on a really small system but came highly recommended by a friend. They have a nice relaxed tasting room that was even more relaxed since they were not close to the festival going on. 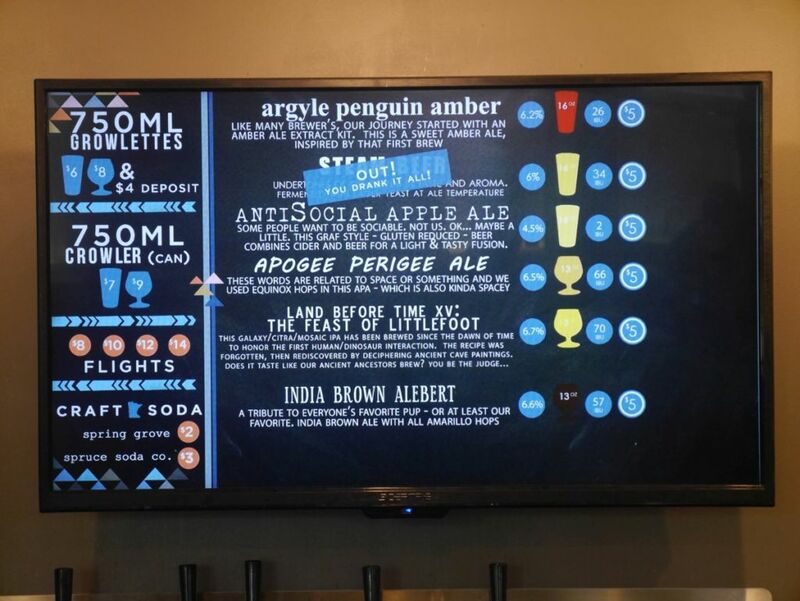 I tasted the amber ale, apple ale, apogee IPA, Feast of Littlefoot IPA, and India Brown Ale. 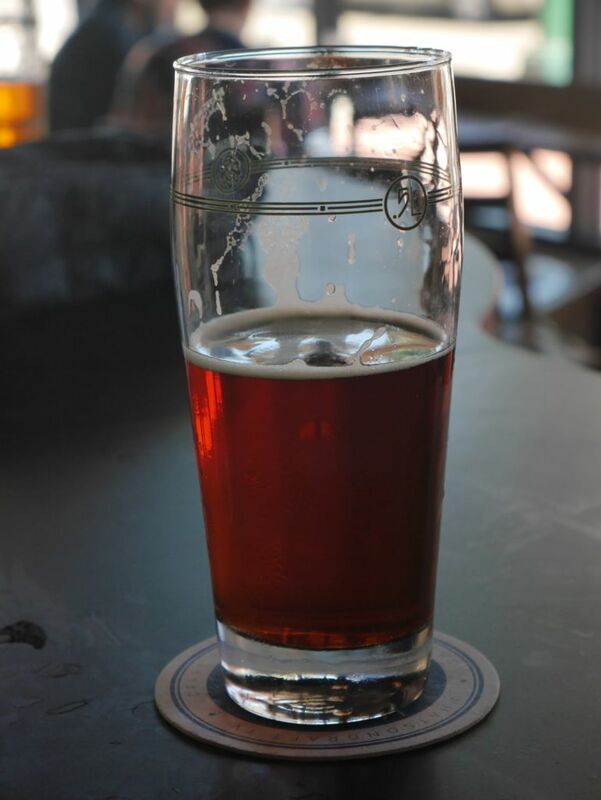 The amber ale was really smooth and fruity with hints of peach and a mild caramel malt finish. This is one of the best ambers I have had and really says a lot about the talents of the brewer. The apple ale was tasty and very crisp with a light body and mild apple flavors. It is a mix between a cider and a beer but not fully a cider. The two beers I list as IPAs might have been listed as pale ales on the board but they are both strong enough at 6.5 to be an IPA to me. The Apogee was really balanced fruity/juicy IPA with a dry finish of citrus and pine. I enjoyed this one the most of the two IPAs and was glad that it was fairly low on the bitterness. Feast of Littlefoot was also quite fruity and citrusy but a lot more dry and bitter on the finish. I went back and forth between the two IPAs and enjoyed how they both developed over time. 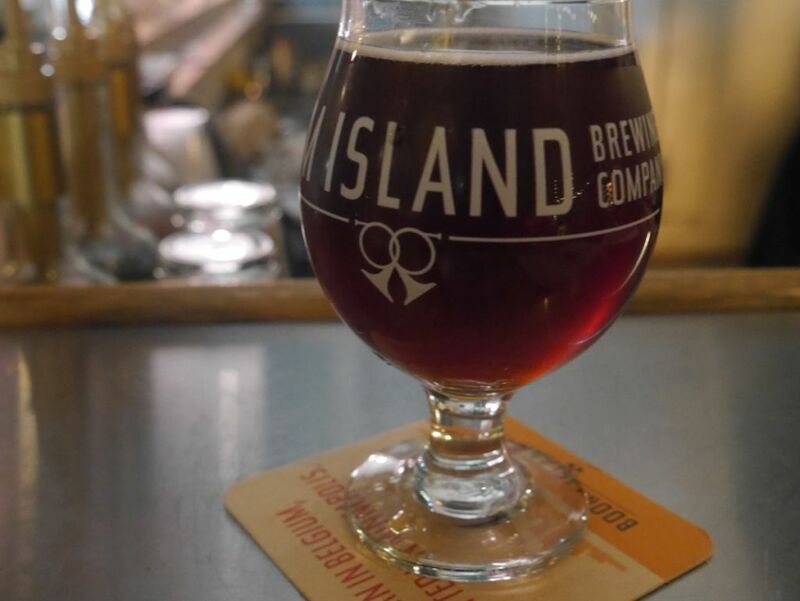 The India Brown Ale is a really hoppy brown ale that is dark enough to be a stout. It was super bitter and hoppy with a bit of a smoky finish. To me it was simultaneously too bitter and too smoky and I didn’t really like it at all. For a new brewery, Sisyphus was quite impressive and I was glad I visited. I’m sure they will become a mainstay in the community over time. Nice inside space at the brewery. 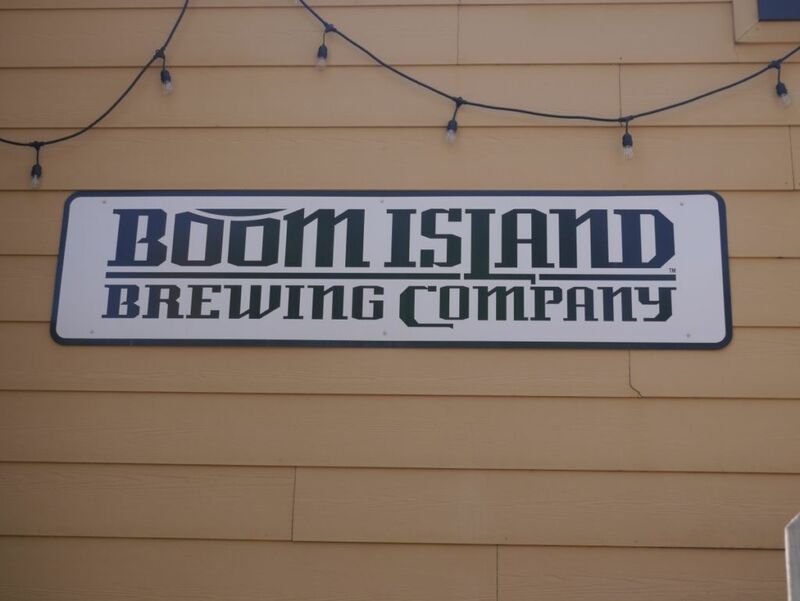 Boom Island is known for Belgian beers and they were my last stop for this trip. I tried the triple brett wild ale and the Belgian chocolate stout. The triple brett was very smooth and malty and tasted like a dubel style beer with added brett. The malts give it delicious flavors of dark fruit and the brett balances things out with some nice funk. Neither my husband nor I really cared for the Belgian chocolate stout. It was super dry and mildly hoppy, which combined with the Belgian yeast for something I didn’t enjoy. It didn’t seem to have much flavor of chocolate or roast to me either. Still, I got the sense from the triple brett that the brewery knows how to do Belgian styles right and I would have ordered a flight if they hadn’t had the triple brett available. 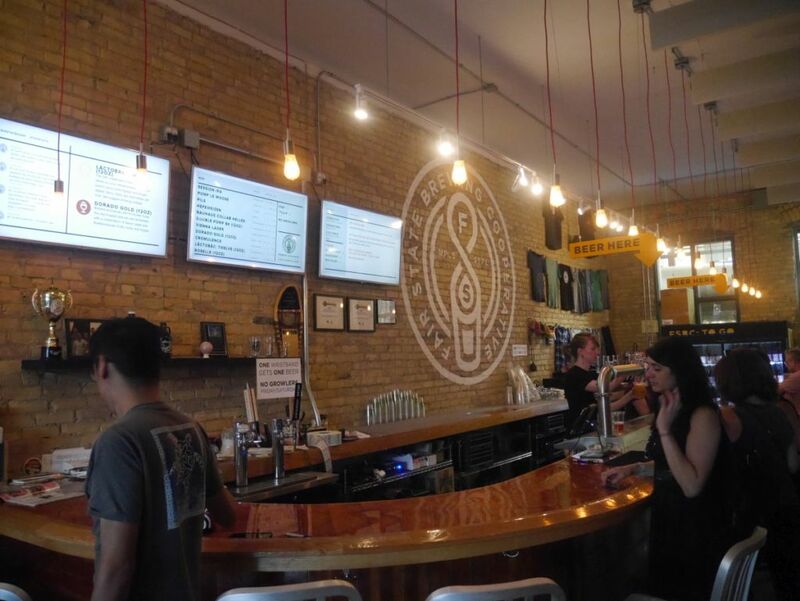 In general I found the beer scene to be vibrant and worth visiting during my visit to the Twin Cities. Cans of Surly’s Todd the Axe Man are easily obtainable outside the area but their more limited Pentagram not so much. Also Fair State’s sours are fantastic and worth stopping by to check out if you are into the style. They seem to have a great tasting room spot so it is a shame that I visited in the middle of a festival. As far as visiting a brewery directly, Sisyphus is a great place to hang out while you are in town. I really wish I had gotten to visit Indeed brewing but it was way too crowded for me. There are tons of breweries I missed so if you think I missed a key one that I didn’t even mention, tell me in the comments. I probably wouldn’t have gotten out to visit Home Brewing Company, located next door and connected to The Homebrewer in North Park off El Cajon Boulevard, if it wasn’t for the Groupon they offered. 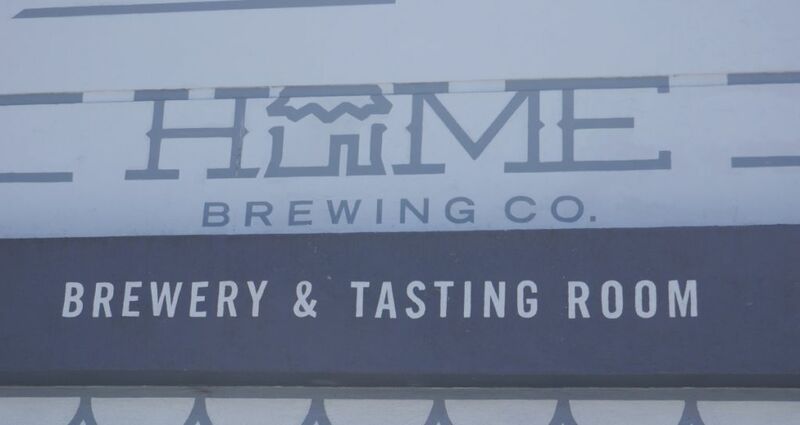 Just like White Labs, one of San Diego’s major yeast sellers, you might not know they serve beer if you don’t regularly visit them to buy brewing supplies. 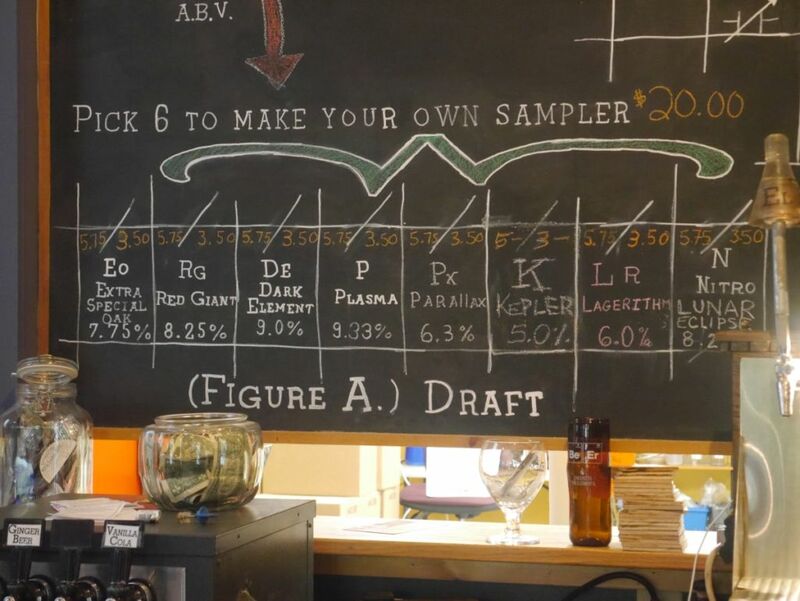 But also like White Labs, they have a lineup of beers that can be educational and tasty at the same time. 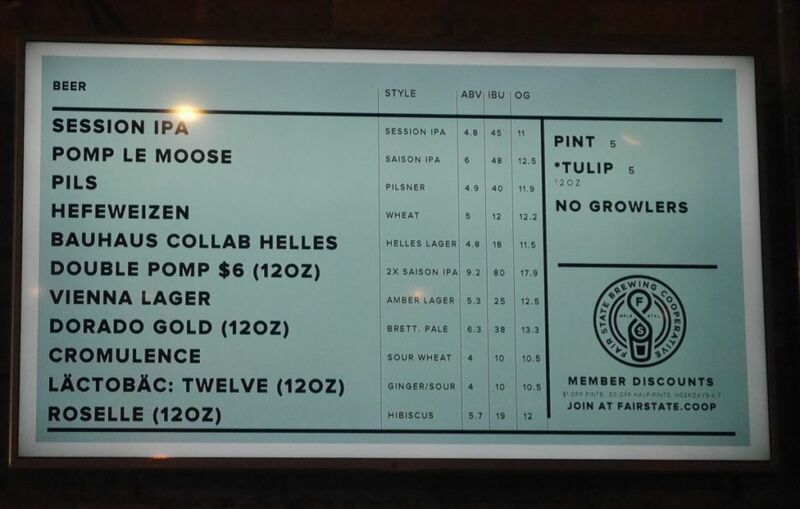 I found the beers at Home Brewing Company to be more approachable and generally more tasty than anything I ever tried at White Labs in my few visits there. 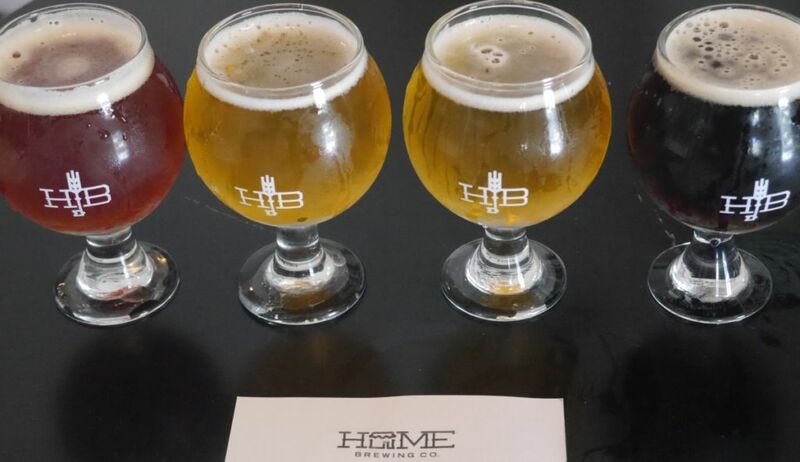 While I understand why White Labs offers four different versions of each beer they serve, to highlight differences in yeast, their main product, I found the base recipes to be a bit lacking. 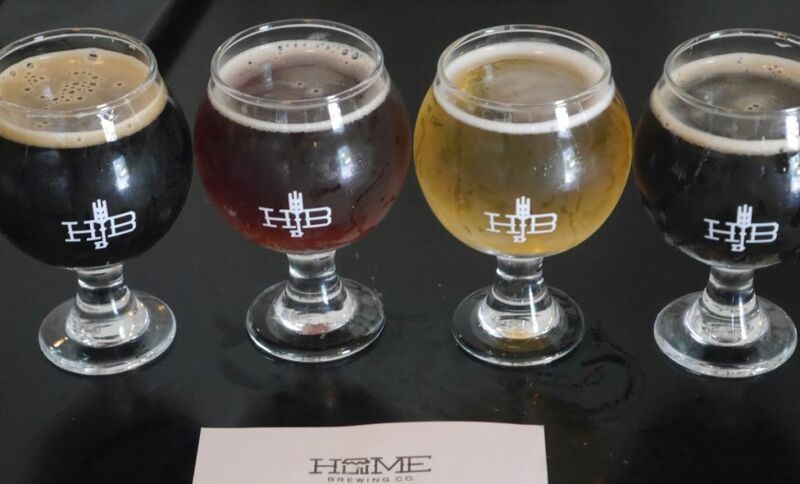 Home Brewing Company does some similar variations but not as numerous and in many ways the beers they offer attempt to show what certain lesser known styles should taste like. 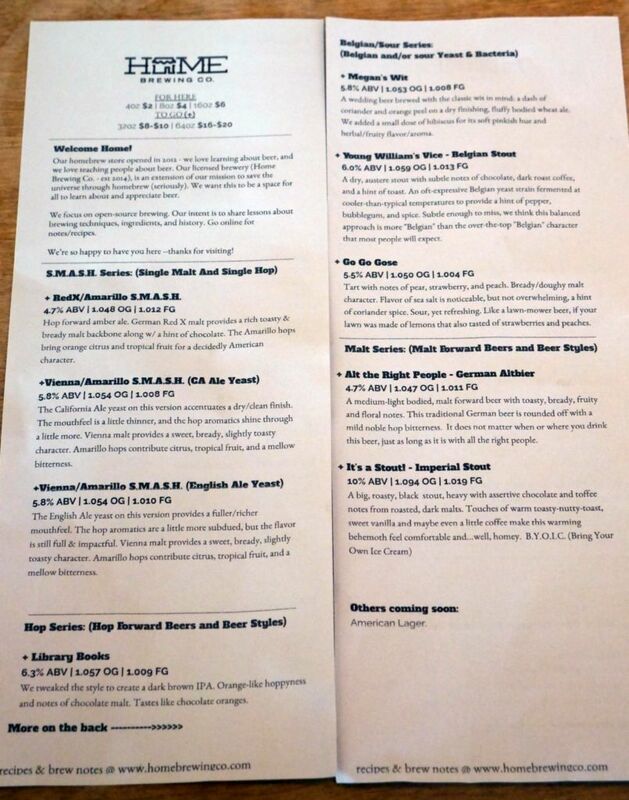 Though I will be describing the beers I tasted when I visited, keep in mind that the lineup of beers tends to change pretty regularly because they don’t have any core beers that you can expect to find each time you visit. 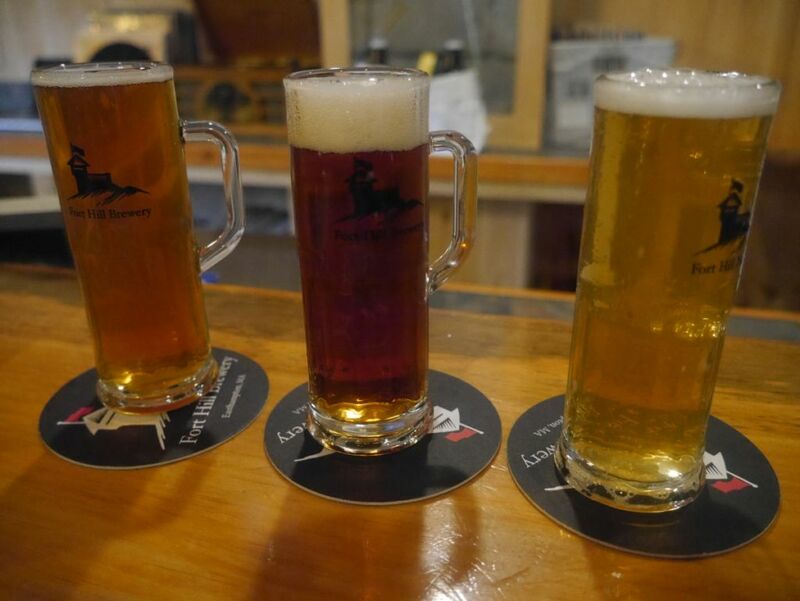 The first three beers were all very similar lighter alcohol beers except the first one had a red malt and the second and third had the same pale malt but different yeasts. Other beers after that generally attempt to showcase one or another part of the underlying beer. I really enjoyed comparing the first three beers, all using the same hops, but which were different from various other changes in ingredients. The amber version had a more pronounced malt flavor while the two pale versions were both good for showcasing the hops though slightly differently. The difference between cali ale yeast and English ale yeast was subtle yet clear and it can be fun to try to distinguish on your own. The other beers in my tasting were each unique, ranging from a hoppy brown ale that at times tasted like chocolate and at times orange to a Belgian style stout, a gose, an alt beer, and an imperial stout. Out of these the gose was both the most interesting of the bunch and one of the more interesting variations of the style I have had locally. Simultaneously mildly salty and super fruity I got notes of pear and doughy malts in a delicious combination. The alt beer was also impressive with a smooth malt flavor that had notes of tasty caramel. The tasting notes provided with each beer are detailed and on point and would provide a nice basis for someone new to tasting to learn the various flavors a beer can have. 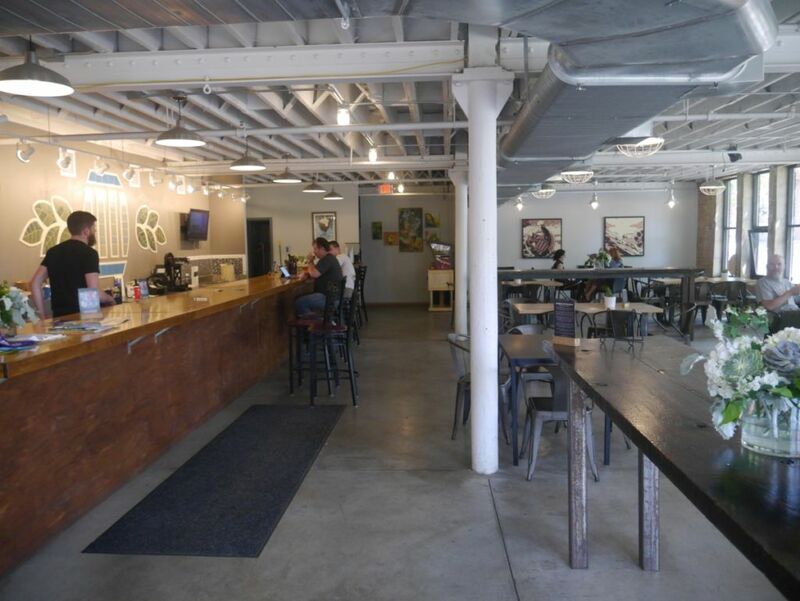 Home Brewing Company is also extremely minimalist in decor because it is not meant to be a full on brewery. There is no board listing all the beers on tap and the bar doesn’t attempt to showcase some exotic tree. There isn’t much room for a lot of people to hang out but the few standing tables make great places to discuss the differences in the beer. 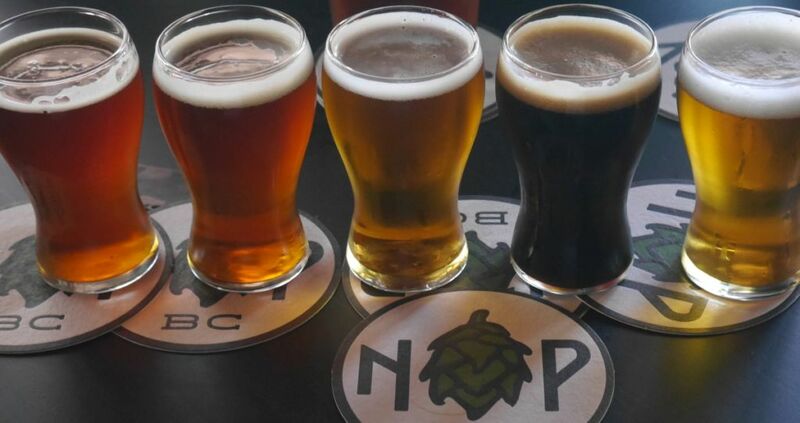 They are also right in the heart of North Park’s growing brewery scene and so easy to stop at on your way to Belching Beaver or Fall Brewing. You shouldn’t feel you need to try everything but it is worth stopping by regularly to see what new styles you can discover or what differences of ingredients you can learn. You may even end up feeling inspired to brew your own. 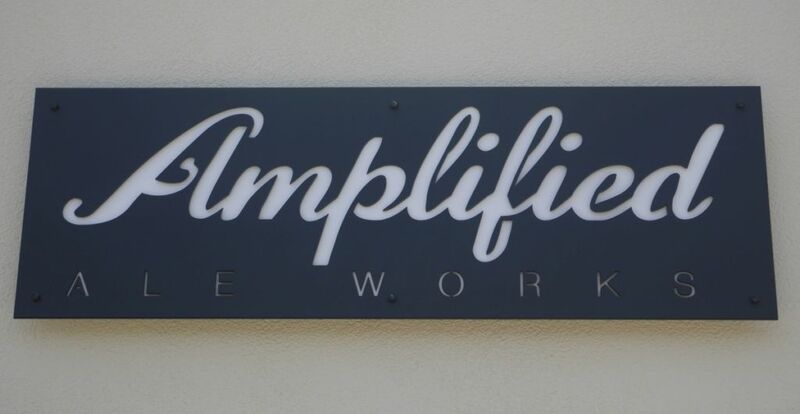 Amplified Ale Works has been brewing out of a Kebab Shop in Pacific Beach for a few years but I haven’t been out that way for over two years so I was glad when I found out they were opening a tasting room on Miramar right next door to Pure Project. From what I read they have some solid IPAs so I wanted to check it out for myself. I started with four tasters and didn’t feel like ordering any more after that because I was heading to a party later that evening. 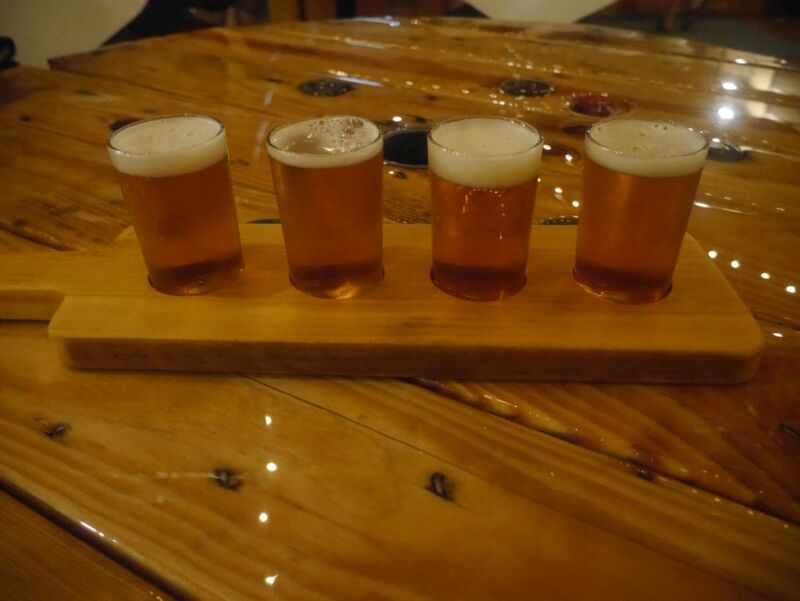 I tried the pale ale, dry stout, IPA, and Biere De Garde. 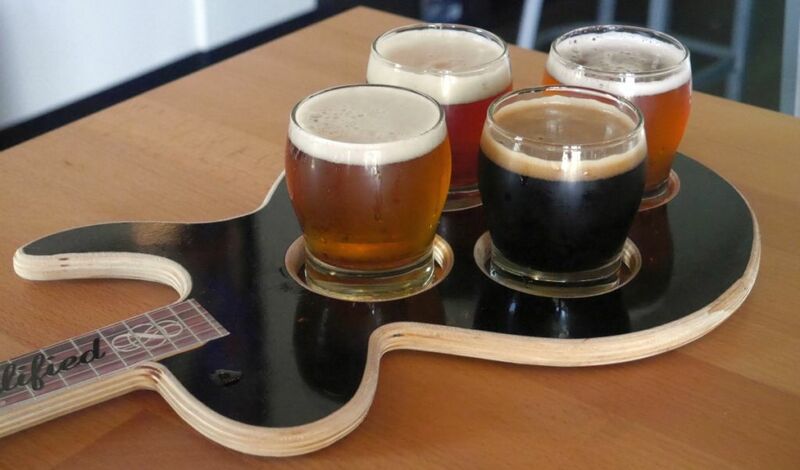 I really liked their easy to read tap list on the large TV as well as their guitar-shaped tasting board. The pale ale was balanced and strongly bitter with hints of citrus and tropical fruit. This beer is more traditional style and the bitterness is the main draw with some overripe fruit flavors on the finish. The dry stout was solid with light smoke notes and a bitter finish though I would have preferred it on nitro. After the pale ale I would have preferred a stout that was a little on the sweeter side. The IPA is pure San Diego style with low malt bill and lots of pine and grapefruit, while not being too bitter or too sweet and finishing with a nice thick resinous mouthfeel. The Biere De Garde was bitter and malty with notes of stone fruit. It reminded me of a hoppy dubel and while I wasn’t expecting it to be so bitter I thought it was very balanced and smooth. They had a lot of other beers available on tap but I wasn’t in the mood for a blonde, a wit, or a really strong Belgian style beer at the time. The tasting room is quite small and has a decent amount of seating but it tends to get quite loud even with a few small groups inside. That was the other reason I didn’t stay very long. They also had a projector in the tasting room showing a soccer game with the sound muted. Though I don’t much care for the classic style of their pale ale or the dry stout their beers are well-made and to style. Hop heads will probably like the IPA.